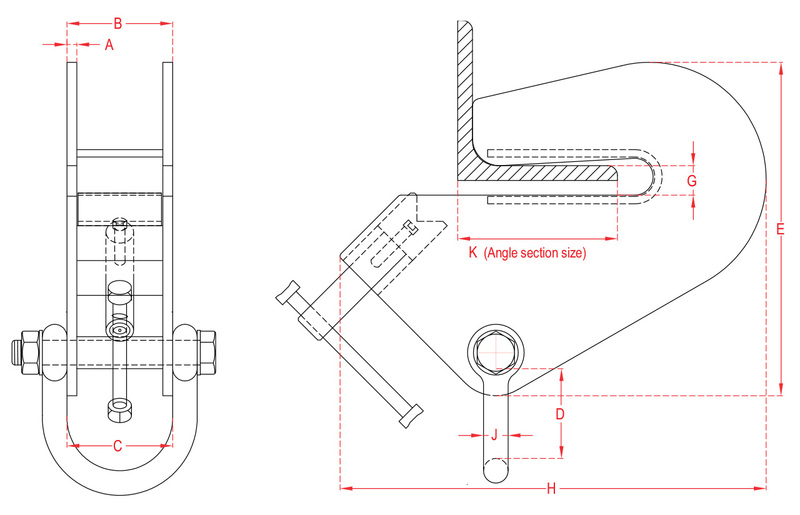 This SUPERCLAMP product is an Adjustable Angle Section Clamp. 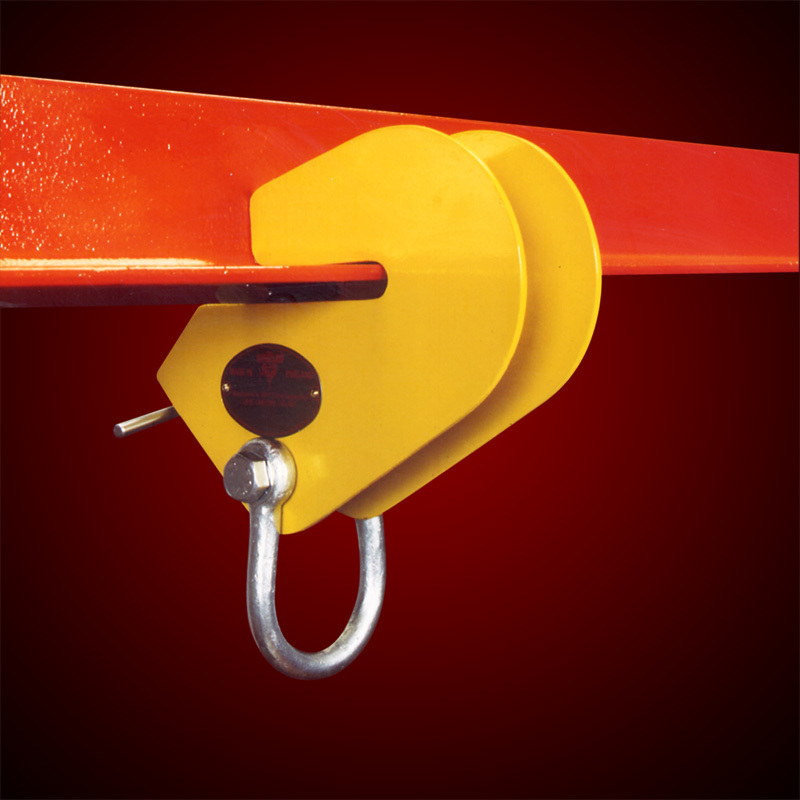 It serves as an anchor or lifting point when attached to an overhead steel angle section approved for lifting applications. The V-Block clamping jaw ensures that the clamp is securely fixed to the angle section when adequately tightened. These clamps are designed for safety and versatility – each model being suitable to accommodate a wide range of steel angle sections. No tools required as the adjusting mechanism is an integral part of the design features, and incorporates an adjusting bar with handle.